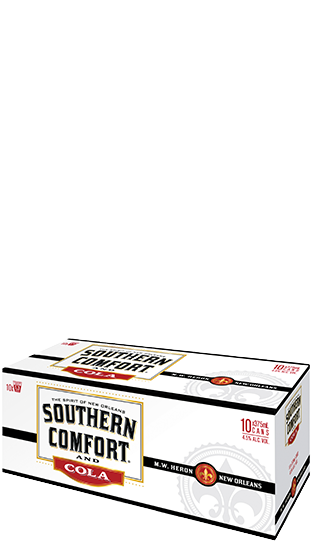 Southern Comfort RTDs provide the one-of-a-kind taste of Southern Comfort classically paired with cola. Southern Comfort is the spirit created by bartenders for bartenders. The recipe is a secret blend of whiskey, fruit and spice flavours that provide the distinctive smooth-tasting flavour that Southern Comfort is renowned for. This complex combination of flavours makes it one of the most versatile and mixable products on the market. Available in packs of cans or bottles.